Working mothers have a totally different routine. Their day starts early and by the time you are up, the talented, multi-tasking moms are already done with half of their chores. From preparing healthy breakfast to a filling lunch, their hands are always full in the morning. However, their work can become a lot easy if they have the right appliances that save time. Gone are the days of using traditional appliances in the kitchen. So, in this blog, we list 5 must-have time-saving appliances that are a necessity for working mothers. Slow and traditional blender and mixers are a thing of the past. 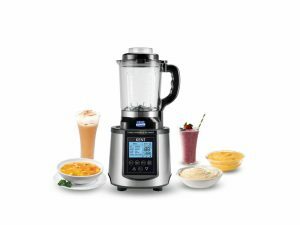 This is the time to use powerful appliances such as KENT Turbo Grinder and Blender that make it easy to blend, grind and mix in minutes. The best feature of the appliance is you can easily prepare dosa batter without soaking. So, if your kids are in the mood for South Indian breakfast, you don’t need to panic. In addition, you can also prepare smoothies in minutes to go with breakfast. 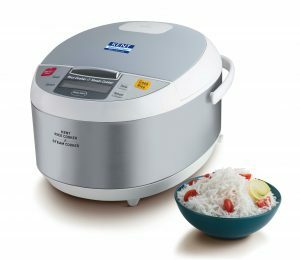 KENT Rice Cooker and Steam Cooker is a great appliance if you have kids at home who come from school when you are in office. The appliance comes with some special features such as ‘delay start’ and ‘keep warm’ mode. So, if your kids want rice for lunch, you don’t need to worry. All you need to do is add the ingredients in the rice cooker and set the timer when you want the rice to be ready. The appliance will automatically cook rice at the desired time and switch to the keep warm mode, so that your kids can enjoy freshly cooked, steaming hot rice. A plateful of perfectly brown, crunchy toast is perfect and healthy breakfast option on some days. However, when you are in a hurry, thawing the bread can make your work difficult. 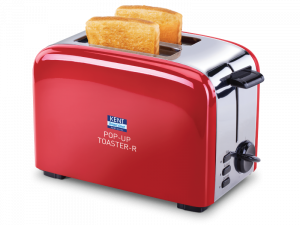 To make your work easy, KENT Pop-Up Toaster is the right appliance for you. 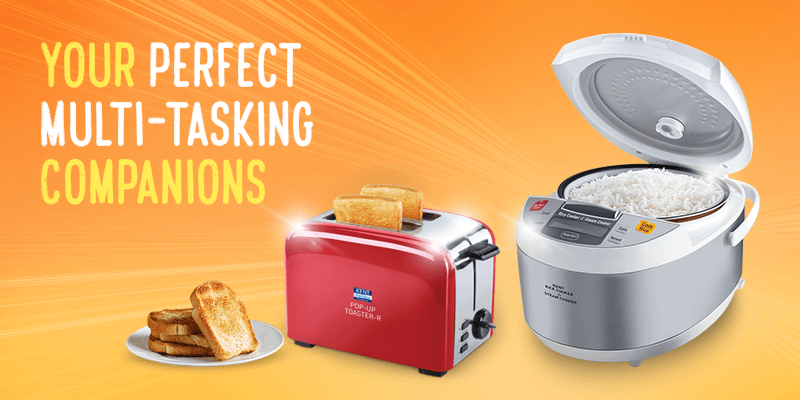 The smart kitchen appliance makes it easy to defrost bread or reheat the toasts without burning them. If you are worried about the cleaning part, the toaster comes with a removable crumb tray which makes it easy to clean the appliance. Sandwiches are a healthy and filling lunch option for kids. However, making sandwiches is time taking especially in the morning. This is where the sandwich maker from KENT can help you work. 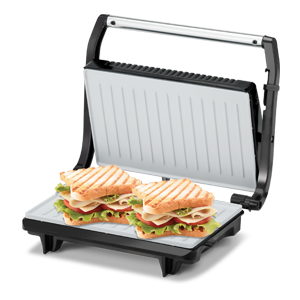 The multi-functional appliance not only makes it easy to prepare sandwiches but also a variety of grilled dishes on weekends. The non-toxic ceramic coating doesn’t release any toxic gases when cooking, making it completely safe for kids. Kids love eating boiled eggs. 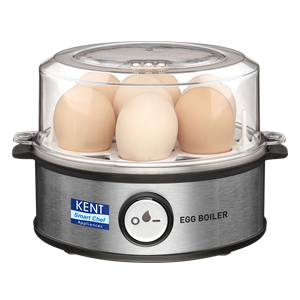 Whether you are planning to prepare egg sandwiches or prepare egg chat for their school lunch, KENT Instant Egg Boiler can help you out. The smart kitchen appliance can easily boil 7 eggs in just 3 minutes. The best part is you can boil eggs in three different modes- hard, medium and soft-just by adding the right quantity of water. So, if you are a working mother struggling in the kitchen to prepare breakfast and lunch for your kids and family, these smart appliances are right for you. These are only a few of the products from the smart kitchen appliances range of KENT. You can find a number of other appliances that help you prepare healthy food in minutes. To check out the range of appliances, click here.